A Ladies Carnival Jester Costume including a Dress, Wrist Cuffs, Hold Ups, and Mini Top Hat – Ideal for a funny theme, or any fancy dress occasion! Play the party fool with this fantastic Ladies Carnival Jester Costume and show everyone your funny side. This Ladies Carnival Jester Costume comes complete including a Dress, Wrist Cuffs, Hold Ups, and Mini Top Hat. 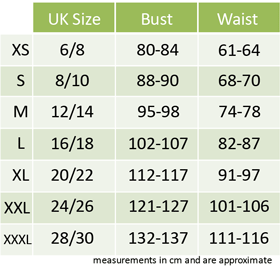 The dress features a large green collar, over a purple bodice with a green central panel and white piping detail. The skirt of the dress features a purple and yellow stripe design, with a purple peplum detail at the waistline. 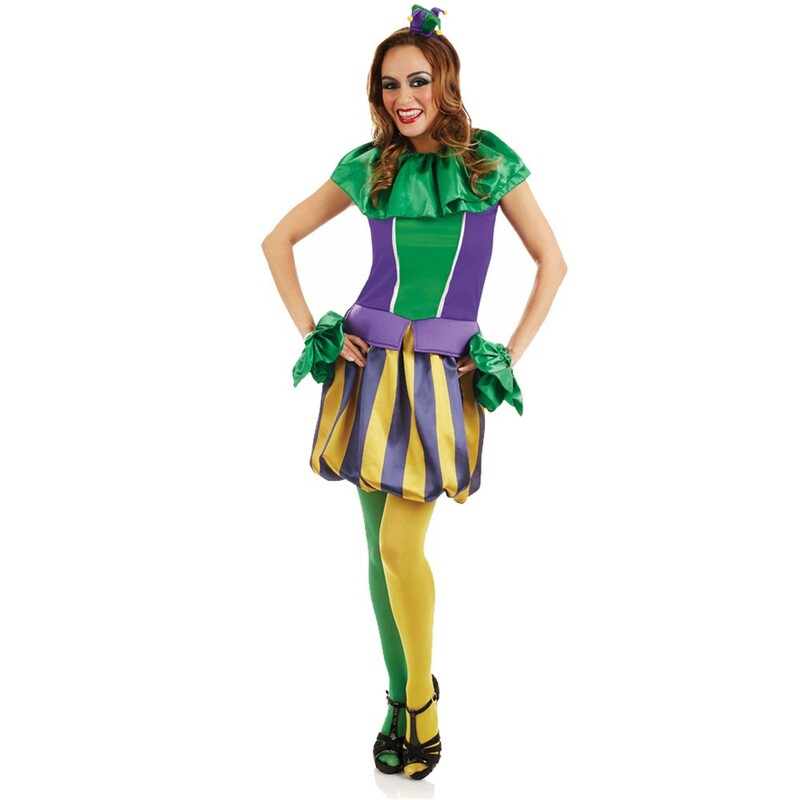 To complete this Ladies Carnival Jester Costume, add the green Wrist cuffs, the green and yellow hold ups, and the Mini Top Hat with attached Headband. Perfect for a Carnival theme, a Funny theme, or any fancy dress occasion, this stunning Ladies Carnival Jester Costume will be sure to have you clowning around in no time! A Ladies Carnival Jester Costume including a Dress, Wrist Cuffs, Hold Ups, and Mini Top Hat.